We have all heard it before…. 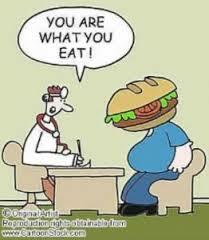 ‘you are what you eat’. It’s no new discovery that our diet affects our bodies in many weird and wonderful ways. Our skin is one of the big ones but unfortunately one that a lot of people don’t consider when it comes to nutrition. I have spoken in previous blogs about foods your skin LOVES (check out that blog HERE). As always there are several foods that can play havoc with your skin and leave you with breakouts, blackheads or dry, tired skin. One of the worst offenders is DAIRY. Removing (or significantly reducing) dairy from your diet could be the single best thing you can do for your skin. Milk contains high levels of a hormone IGF-1 which is designed to make baby cows grow big and strong BUT in humans this hormone contributes to build up of inflammation in your body. Dairy products also increase the production of oil and mucous which clogs your pores and can eventually lead to acne. The other obvious one is SUGAR. Cakes, lollies, chocolate… all those deliciously sweet foods are bad bad bad for your skin. Sugar disrupts many of the natural processes that occur within the body. Excessive sugar will cause a spike in your blood sugar, high blood sugar increases inflammation levels in our cells causing them to ‘age’ at a faster rate. Sugar also latches onto collagen making it stiff & less elastic eventually leading to wrinkles. Collagen is the connective tissue that keep our skin firm and supple. Then there is ALCOHOL. Alcohol is a diuretic, meaning it dehydrates you. The more you drink the more dehydrated you become and the more water & vital nutrients are depleted from the skin cells. Our cells live for water, the more hydrated they are the firmer they are (and the better your skin looks). High levels of alcohol consumption can result in the appearance of red spidery vessels on the face, whilst also aggravating other dermatological conditions such as psoriasis and eczema. If you want to enjoy a few drinks (which let’s be honest most of us do) make sure you keep your water intake throughout the night to stay hydrated! DEEP FRIED FOODS….. fries, chicken nuggets… these foods are cooked in oils at very high temperature. These oils oxidize during this process & go rancid. You then put that into your body. These bad fats are really hard for your body to digest which can impact on circulation and metabolism. Healthy skin relies on the efficient working of these processes for oxygen and nutrient delivery. A lack of oxygen to the skin can effect skin cells and reduce the elasticity of the collagen in our skin. I think most of us are already probably aware that the above foods aren’t amazing for our health for many reasons. Well now you can add skin to that list! Previous Article Are you running into problems? Next Article What is muscle? How do they work? How do they get bigger?